1.1	Trust ports are independent statutory bodies, run by independent boards (referred to below as “the Commissioners”), for the benefit of stakeholders. 1.2	The Advisory Committee appointed by the Commissioners shall represent the beneficiaries and stakeholders of the trust port. Although not an exhaustive list the Department for Transport considers the following groups to qualify as one of the above. Port users, port employees, the local community, related interest groups, local and regional authorities, the national economy and Central Government. 1.3	As stakeholders or beneficiaries in the port, the interests of these groups must at all times be the guide by which the Commissioners direct the port. 1.4	It is the responsibility of the Commissioners, having identified their stakeholders and consulted them, to arrive at a clear description of the objectives of the port. 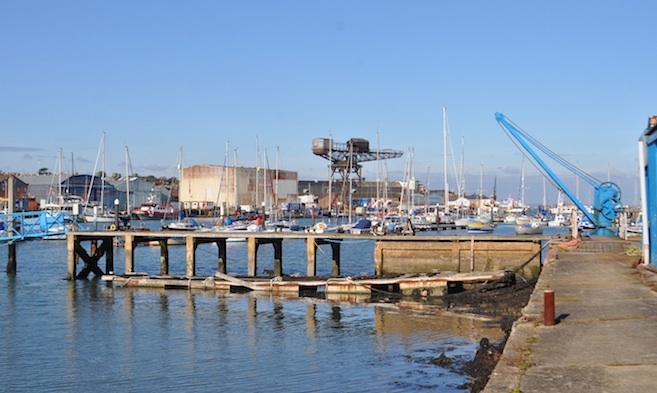 1.5	Commissioners shall consult the Advisory Committee on all matters substantially affecting the management, maintenance, improvement, conservation, protection or regulation of Cowes Harbour and its navigation. 1.6	The Advisory Committee is a conduit for communication between stakeholders and the Commissioners and may put forward suggestions for the Commissioners to consider. 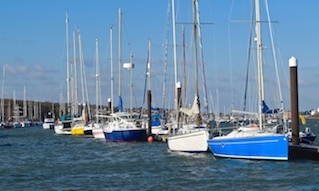 1.7	Responsibility for the management, maintenance, improvement, conservation, protection or regulation of Cowes Harbour and its navigation rests solely with the Commissioners. However, where possible but without imposing a requirement on the Commissioners, the reasoning behind all significant decisions shall be communicated to the Advisory Committee on request. 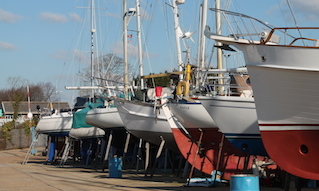 1.8	Cowes Harbour Commission and the Advisory Committee should always endeavour to resolve issues through dialogue. In the event that the Advisory Committee still consider, after dialogue and a written complaint, that the Commission's activities are unaccountable and not in accordance with statutory requirements, or the Guide to Good Governance for Trust Ports, then they have the right to bring the issue to the attention of the Secretary of State for Transport. 2.1	The Harbour Master/Chief Executive Officer will inform the Advisory Committee on significant decisions made by the Commissioners other than those that are considered by the Commissioners to be commercially sensitive or involve disciplinary matters. 2.2	Where advice from the Advisory Committee is received this is to be included in the minutes of the relevant Commissioners’ meeting. 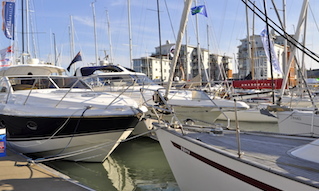 2.3	Minutes of Cowes Harbour Commission meetings other than those dealing with matters that are considered by the Commissioners to be commercially sensitive or involve disciplinary matters shall be made available to the Advisory Committee. 2.4	The Commissioners may appoint a Commissioner to attend Advisory Committee meetings and from time to time the Advisory Committee may request an individual Commissioner to attend their meeting to discuss matters relating to their portfolio of responsibilities. 2.5	Minutes of the Advisory Committee meetings shall be made available to the Commissioners. •	Cowes Combined Clubs/Cowes Week Ltd. Nominations for the members of the committee may be made either by stakeholder groups, by the Advisory Committee, or by the Harbour Commissioners. In all cases, nominations must be approved by both the Commissioners and the Advisory Committee, as set out in clause 3.4, and such approvals must be noted on the respective minutes. The current Schedule of Members and organisations represented is attached as Schedule I to the constitution. This Schedule will be updated as required in respect of both organisations and members subject to the approvals required in Clause 3.3. 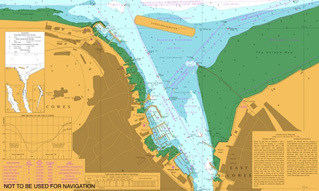 3.2	The Commissioners shall receive notice of all meetings and the Harbour Master/ Chief Executive or the Deputy Harbour Master shall be entitled to attend all meetings. 3.3	Any additions to the organisations represented shall require the approval of both the Commissioners and the Advisory Committee. 3.4	The approval of the Commissioners shall be required for any member of the Advisory Committee other than those representing the Local Councils. Such approval shall not be unreasonably withheld. 3.5	A register will be maintained of the interests of all members in a format similar to that maintained for the Commissioners. 3.6	The Advisory Committee shall appoint a Chairman and meet at least three times a year. The Chairman is not required to be a nominee or to represent a particular stakeholder group. 3.7	At the request of three members the Chairman shall call an additional meeting. 3.8	A quorum shall consist of five members and seven days’ notice shall be given to all Advisory Committee members together with a written agenda. 3.9	Advisory Committee members should attend public meetings with the Commissioners and be able to answer questions relating to stakeholder issues if required, but not raise issues that should or could have been resolved by the afore mentioned processes. 3.10	Advisory Committee members should act in a reasonable manner and be mindful of the fact that some of the information provided to them may be of a sensitive nature. 3.11	An Advisory Committee member may appoint a substitute to be agreed with the Chairman of the Advisory Committee to attend the meeting. The substitute may take part in any discussion at the meeting. 3.12	A Member of the Advisory Committee shall hold office for a term of three years and shall be eligible for reappointment at the conclusion of his term. A member of the Advisory Committee shall serve more than two terms only by exception. 3.13	No member of the Advisory Committee shall serve more than three consecutive terms of three years unless at least one of those terms is as Chairman of the Advisory Committee in which case he shall serve a maximum of four consecutive terms. 3.14	On matters that may be of concern to a particular interest group not directly represented on the Committee, the Advisory Committee may invite the group to appoint a representative to attend the relevant part of the meeting. 4.1	After approval by the Commissioners of the Annual Report and Accounts representatives of the Commissioners should provide copies to the Advisory Committee and meet with them to discuss them. The Advisory Committee represent beneficial and non-beneficial stakeholders and given that trust port boards have no formal shareholders the Advisory Committee should attend the annual meeting of the Commissioners where the accounts are presented.